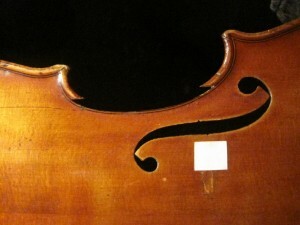 The treble C bout of the spruce top of an older instrument is often quite worn from wayward, exhuberant bowing. Smaller impacts can be filled but eventually the best way to deal with it is to replace the edging with a new piece of similar grain spruce – work it down to perfectly blend with the existing edging and then touch up the varnish to match as if nothing has happened. 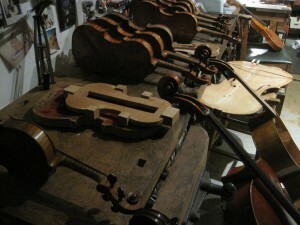 In this case the rest of the violin is in pristine condition – so I will make the edging very clean and crisp. 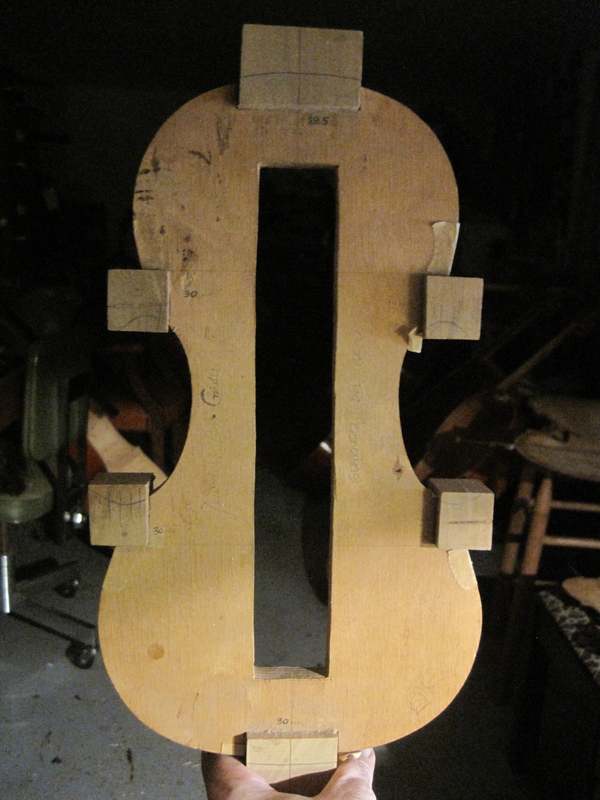 if the instrument were heavily worn I would make the edging look more worn so that it seamlessly blends. The c bout repair is much more exacting than repairing the outer edging of the top – in this case the wood needs to be removed all the way to the purfling and the piece fitted exactly to what I have taken away – with absolutely no wiggle room. Its a shame I didn’t take more photos of the progress – but with the many things going on simultaneously, its hard to keep up with photos!